I entered two games into the Gamemaking Frenzy: BARFCADE game jam. The goal of the jam was to create short, competitive, 2 player head to head games. Shrimp Slam It is a classic challenge of who can hit buttons faster. 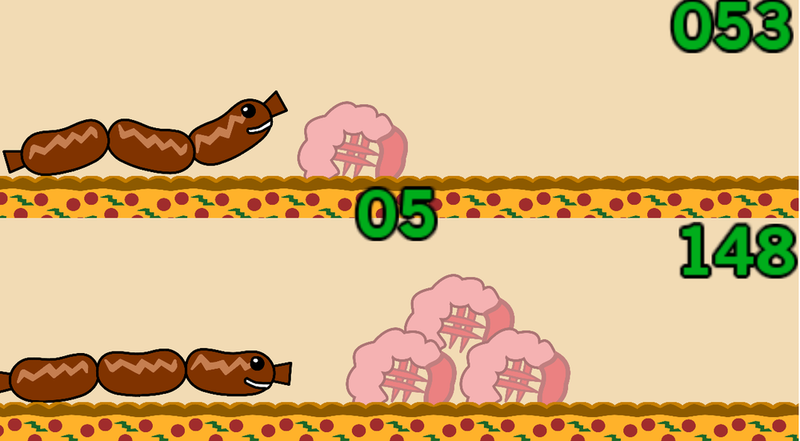 Sausage Race experiments with the idea of using an arcane physics rig to produce challenge and comedy for the players.